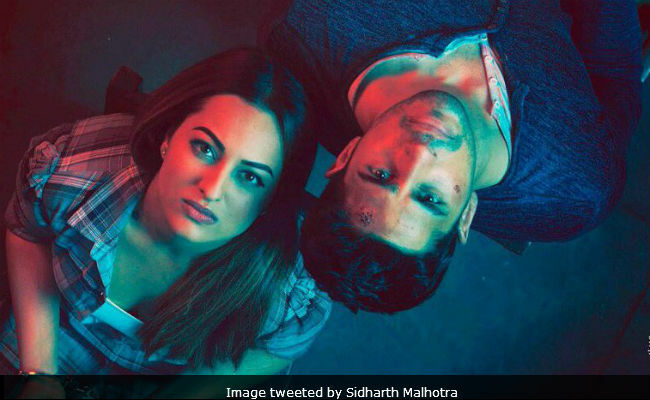 Ittefaq Preview: Sonakshi Sinha Or Sidharth Malhotra, Who Is Guilty? It's time for Ittefaq, guys. Yes, the much-awaited Abhay Chopra movie is all set to take over the theatres tomorrow and we can't wait to solve the mystery, presented by Sonakshi Sinha, Sidharth Malhotra and Akshaye Khanna. Ittefaq is a remake of Rajesh Khanna's 1969 film of the same name and is directed by BR Chopra's grandson. The makers of the film are all set to thrill you with their murder-mystery drama, which shows three sides - Vikram (played by Sidharth Malhotra), Maya (played by Sonakshi Sinha) and the truth. Ahead of film's release, Sonakshi also said no to spoilers, to keep the excitement intact. In Ittefaq, Sidharth and Sonakshi tell their version of the murder mystery while Akshaye is the cop on the job and the seeker of truth. The film will be co-produced by Karan Johar's Dharma Productions and Shah Rukh Khan's Red Chillies Entertainment and BR Films. Of the film, Sonakshi earlier told news agency PTI: "I am upset that I have been the quintessential good girl of Hindi cinema. There are two sides to me and that is what attracted me to do the film." The film's trailer was released earlier this month and in no time it went crazy viral on the Internet. The trailer had received 11 million views in just 24 hours. The makers of the film also delighted their fans with Ittefaq Se, the first song from Ittefaq. The song is a redux of Raat Baaki Baat Baaki song from Amitabh Bachchan and Shashi Kapoor's Namak Halaal. With all the excitement, we already can't wait to watch Ittefaq tomorrow. Are you all set to know the truth?